Welcome to our blog made for all music producers and artists all around the world! Most major DAWs do offer a mobile version. FL Studio, GarageBand, Cubase, Reason. But what else is out there? Even better, what can get the job done, FREE. We’ve all been in a situation where all of a sudden you find yourself tapping your fingers and come up with a sick beat, or maybe a melody pops Into your head. The moment of inspiration and creation can come at any time, at any place. So today I am here to help you make sure you capture that moment. No matter when or where it should happen. Caustic is a music creation tool inspired by rack-mount style rigs. Everything is in real-time and optimized for mobile devices. Caustic has a lot to offer. A variety of synths, with their own sample library and the ability to shape the sound. Each sound is routed to a mixer channel with the option to add effects. Considering the size and all its capabilities, Caustic runs rather smooth on mobile devices. BandLab makes it easy to make great music and find great music to listen to. 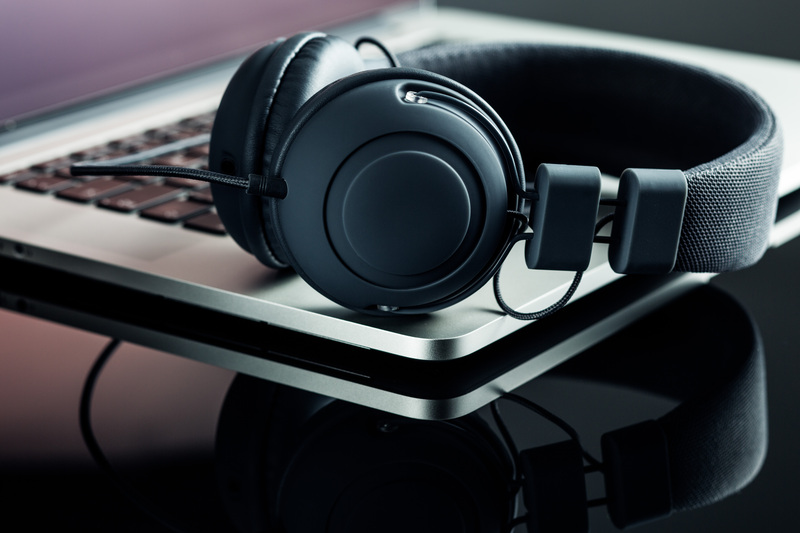 Capture inspiration with our world-class professional creation features, jump on community tracks and beats, make playlists of your favorite music, publish your own as well as create and collaborate with other users to grow your audience. Unlike other apps, BandLab’s award-winning creation and social features are completely FREE with no ads to ruin your music experience either. Hot Beats. Be inspired by a daily curated list of hot beats and hip-hop instrumentals for rap artists. 12-Track Mix Editor. Record live audio, import, mix, solo, pan and mute tracks. Unlimited Projects & Secure Storage via the Cloud. 30 Guitar/Bass/Vocal FX Presets with real-time monitoring. Looper. Make your own beats with just your imagination and a few clicks with our professionally created Loop Packs. Work across ALL your devices. All of your projects, feeds, bands and communities are cross-platform and accessible via mobile or your browser. Built-in Guitar Tuner & Metronome. Remix Tracks. Remix tracks that other creators have shared with the community and make it your own. Millions of people use Music Maker JAM to create, remix and share amazing beats and tracks across a wide variety of genres like EDM, trap, hip-hop, house, pop, rock, and more. Pick from thousands of studio-quality loops, beats, and samples to start mixing your new track and then share instantly with a worldwide audience. More than ten FREE Mix Packs with over 2000 loops available in the Music Maker JAM store. Have fun & remix artists like: Dillon Francis, Petit Biscuit, RL Grime, Bossfight and many more. Choose from 300+ Mix Packs with 500k+ loops including EDM, trap, hip-hop, house, pop, rock, dubstep, jazz, latin, techno, DnB and more. Create your own unique sound. Easily compose by combining samples from different music genres. Record live with a perfect mixdown on the 8-channel mixer. Access thousands of studio-quality loops from beats and vocals to synth leads and bass lines. Be creative with easy controls. 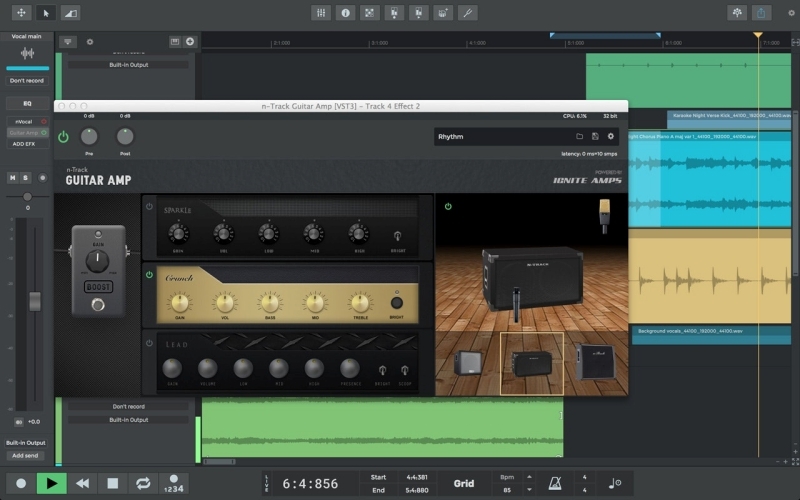 Adjust tempo and harmonies, edit song parts and play with spectacular real-time effects. Remix tracks by shaking your device. 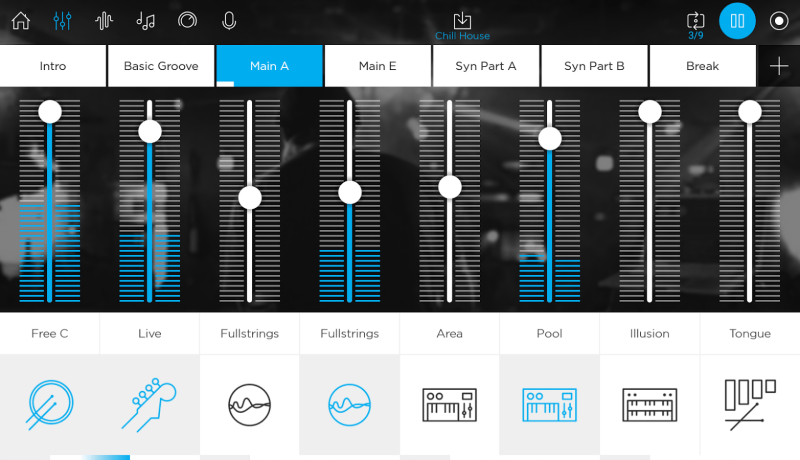 Bandpass turns mobile music production into a style blending musical social network. Create tracks, build loops, invite friends and let the magic begin. This digital audio workstation (DAW) has 50 real-time effects including Sidechain compression, Delay, Reverbs, Phasers, Compressor, BitCrusher, Waveshaper, Chorus and more. Listen to beats made by other users and mix in your own style. Choose from over 3000 samples that Bandpass offers or choose from other instruments. Scaled instruments to re-create real orchestral sounds. FM and additive synthesizers to create a vast combination of wave shapes. Automation tracks to change filters and effects over time. Sampler, Vocoders, TrackStacker, and DrumSynth. Live mix with the looper and build songs with the song editor. Export songs to your device or straight to SoundCloud. If you are starting out, looking for a good collab, or on the go and have a dope beat just pop into your head. 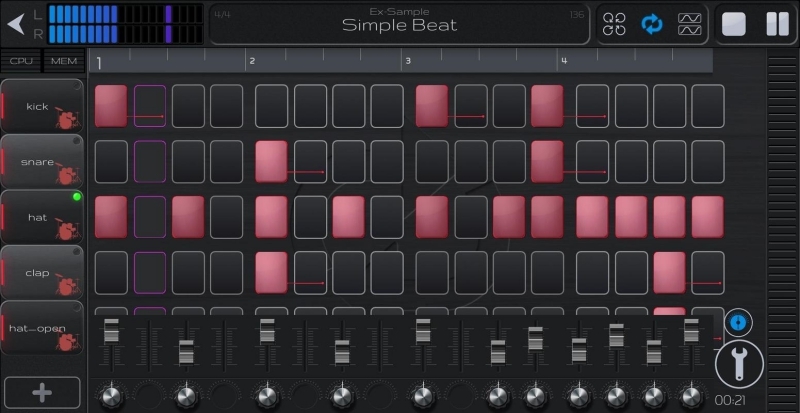 Here is a list of the best ways to make music using your Android or IOS smart phone. n-Track Studio turns your device into a complete recording studio. Record and playback audio and MIDI tracks, mix them during playback and add effects. Edit your song and share it with your friends or jam with other artists. Stereo and mono audio tracks. Virtually unlimited number of tracks (max 11 tracks without in-app purchases). MIDI tracks with built-in synth featuring 128 General MIDI instrument sounds. EQ with Spectrum analyzer + chromatic tuner. Guitar & Bass Amp simulation plugins. Automate track volumes and pan using volume and pan envelopes. 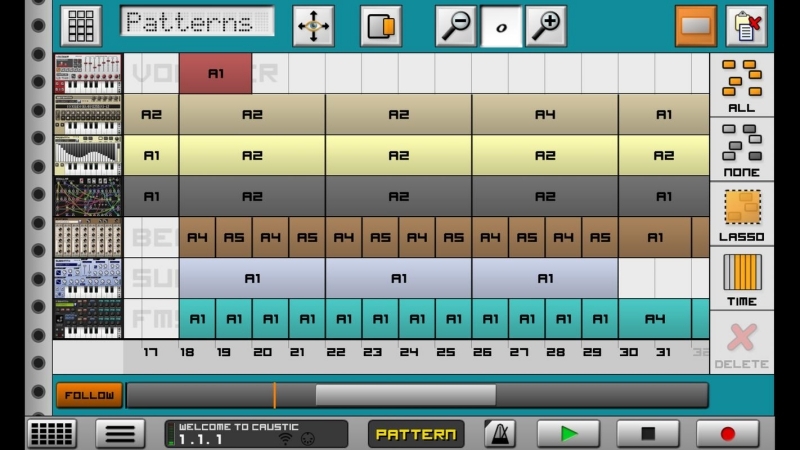 Perfect Piano is an intelligent piano simulator designed for mobile and tablets. 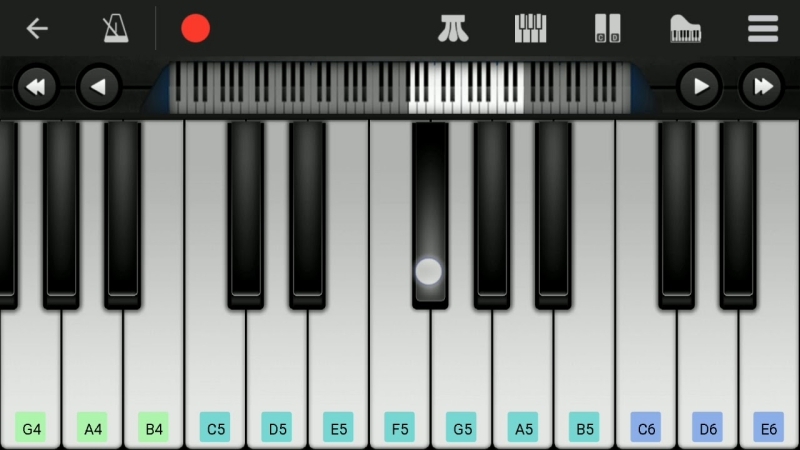 With in-built genuine piano timbre, this app can teach you how to play the piano, allow you to record your own creations for later playback, and collaborate with other users. Multiple in-built sound effects: Grand piano, Bright Piano, Music Box, Pipe Organ, Rhodes, Synthesizer. MIDI and ACC audio recording. Direct sharing of recording file or set as ringtone. OpenSL ES low latency audio support. Supports standard General MIDI protocol and allows the connection of MIDI keyboard (such as YAMAHA P105, Roland F-120, Xkey, etc.) through a USB interface. A small piano widget for your home screen. You can play music at any time without opening the App. Voice Record Pro is a professional voice recorder. It allows you to record voice memos and on-site sounds at unlimited length with configurable quality. Recorded voices are in standard AAC/MP4/M4A format. Voice Record Pro can record directly in MP4 (AAC), MP3 (MPEG) and WAV (PCM) formats plus convert function for all supported formats. 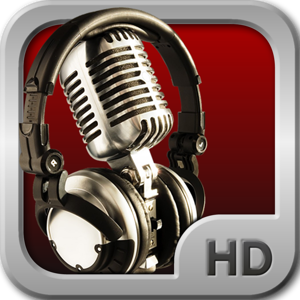 For recording a scratch vocal track, this APP had excellent quality and functionality. Export to and import from Google Drive. Export to and import from DropBox. Export to and import from Microsoft OneDrive. Convert to a movie clip and export to Photo Albums. Post as a Movie Clip on YouTube. Export to other apps on your device that can handle the audio file. Send Audio or Movie by email. Convert the records to other formats. Now there is nothing stopping you from capturing your ideas as they happen, when they happen, where they happen, on any device. Get inspired, collaborate, and always be creating. "Big thanks to W. A. Production for having some of the best samples & sounds available onlie, They've definitely been part of some of my tracks. I recommend them to all upcoming producers"